It is rare to land the perfect deal in football. The modern trend of clever negotiating ensures that all parties involved will gain a decent chunk of the profits, particularly when big names are involved. Few names get bigger than that of Cristiano Ronaldo, whose initial move from Manchester United to Real Madrid was the then world-record transfer fee paid for any player. What he achieved with Los Blancos is there for the history books to relish. Then, earlier this season, he shocked all by moving to Juventus. The Italian giants have certainly been enjoying his company, but it turns out that an entirely different Italian club could have been reaping the benefits instead. 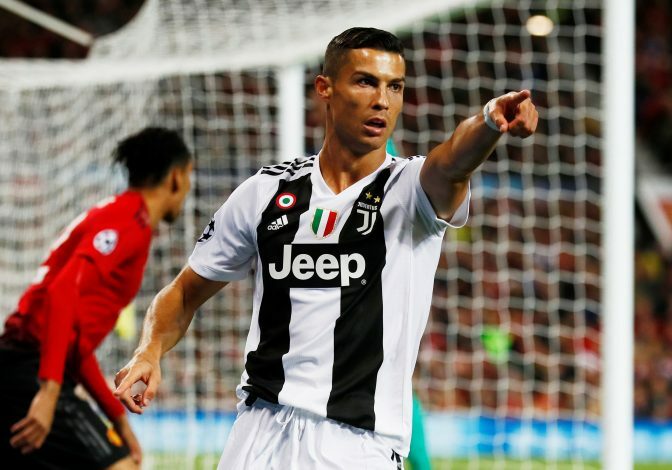 Speaking to Sport Italia, former AC Milan sporting director Massimiliano Mirabelli reveals that the Portuguese superstar was targeted by them, and that Ronaldo’s agent was contacted. It is interesting to think that the owners thought that Ronaldo wouldn’t have been a sustainable talent. Even before the move to Juventus was confirmed, the Old Lady’s stock saw an incredible rise, and the financial benefits that they have reaped elsewhere by virtue of his presence are pretty remarkable too. Apart from that, Ronaldo is really shaping up to be the perfect catalyst for Juventus to taste European success this season. In the UCL, they are already a formidable talent, and his knack for scoring goals in that competition may come particularly handy. As for Milan, a big mistake may have been made in retrospect.